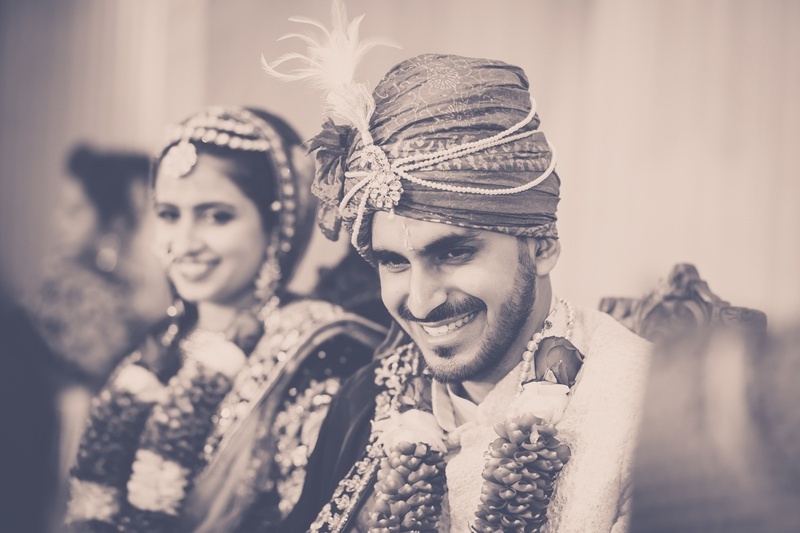 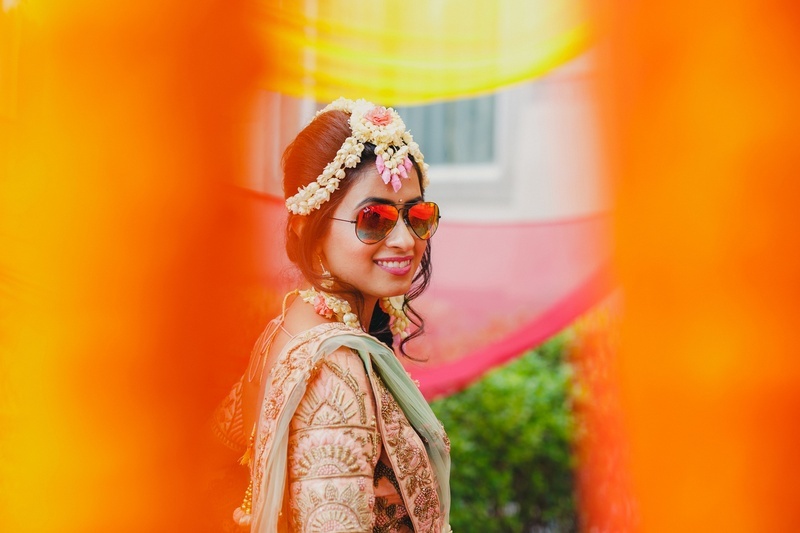 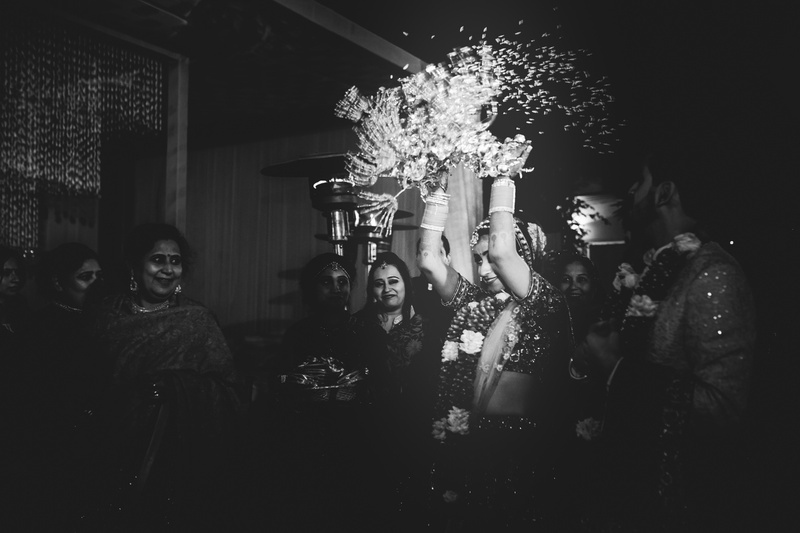 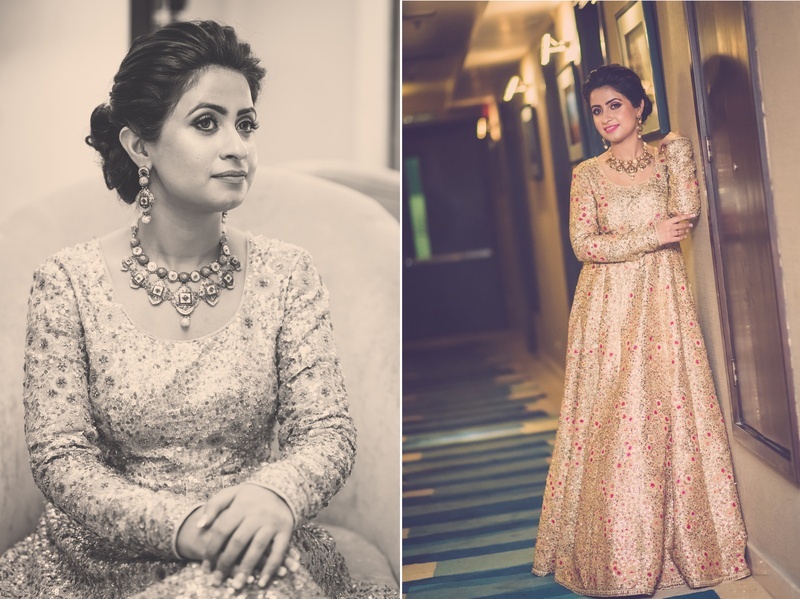 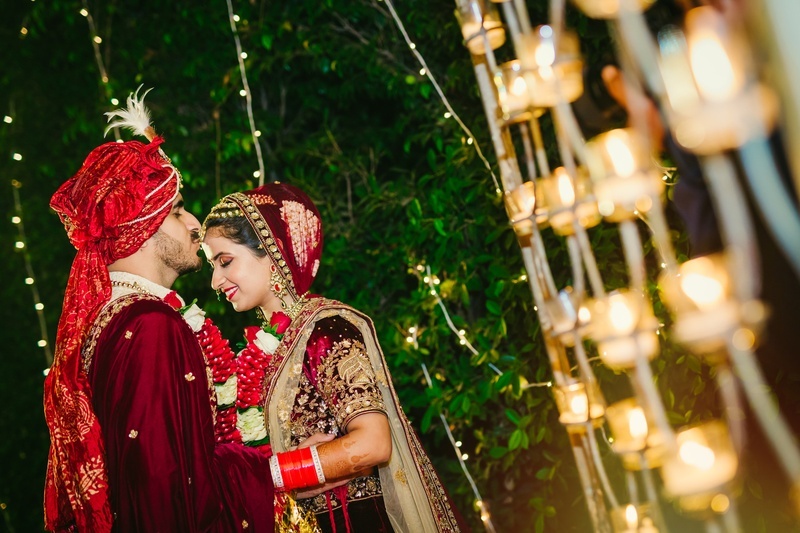 High School Couple's Captivating Hindu Wedding at The Lilywhite Hotel with Stunning Mehendi Decor & Outfits! 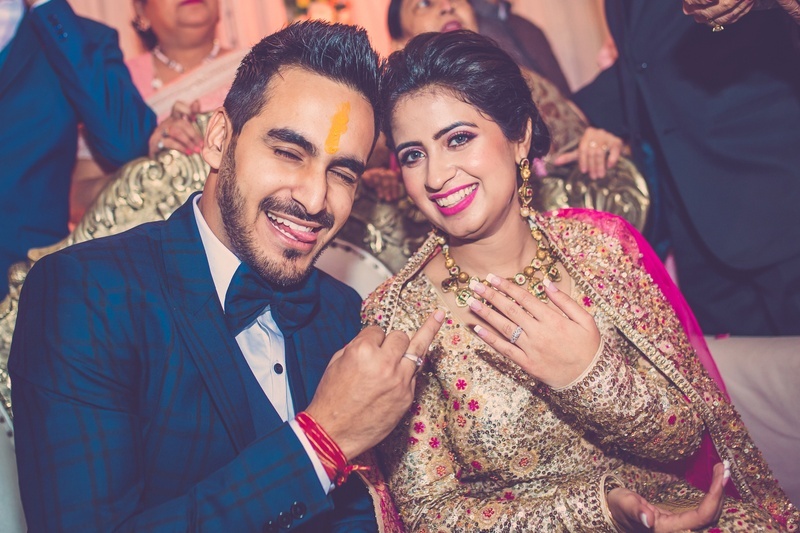 These high-school sweethearts dated for 12 years before tying the knot this winter! 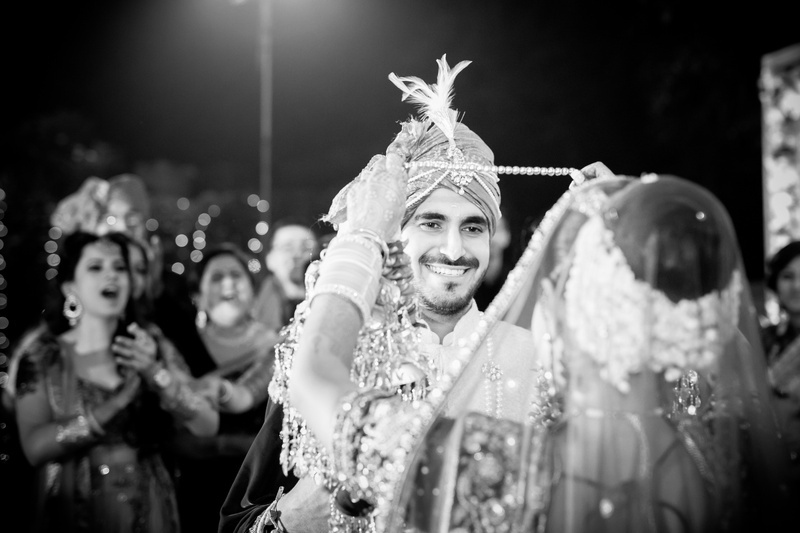 Isn't that the cutest?! 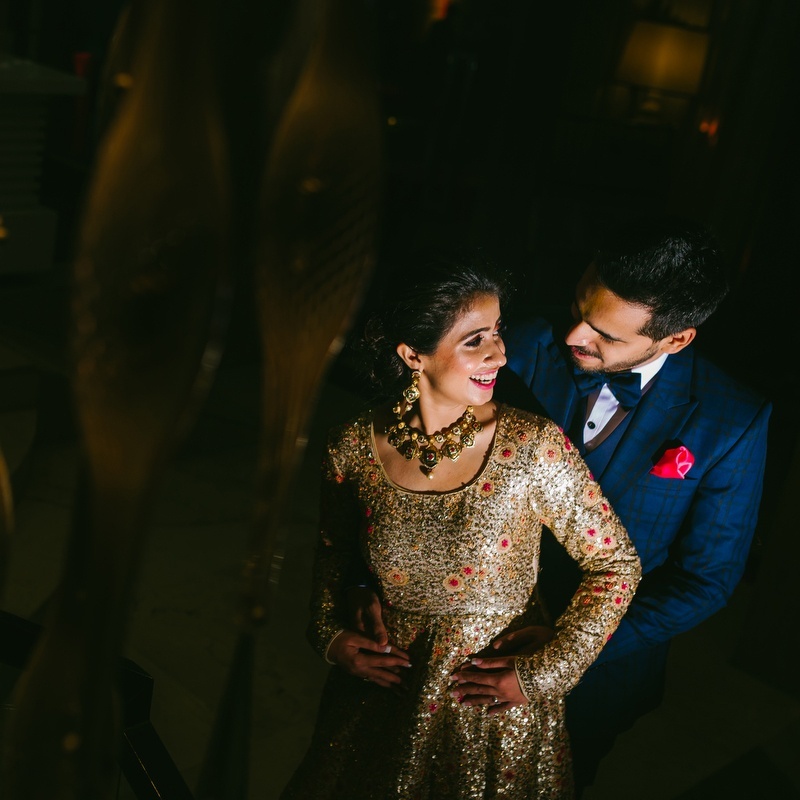 They had a lovely wedding affair at The Lilywhite Hotel and all their wedding events are just as stunning as the couple themselves. 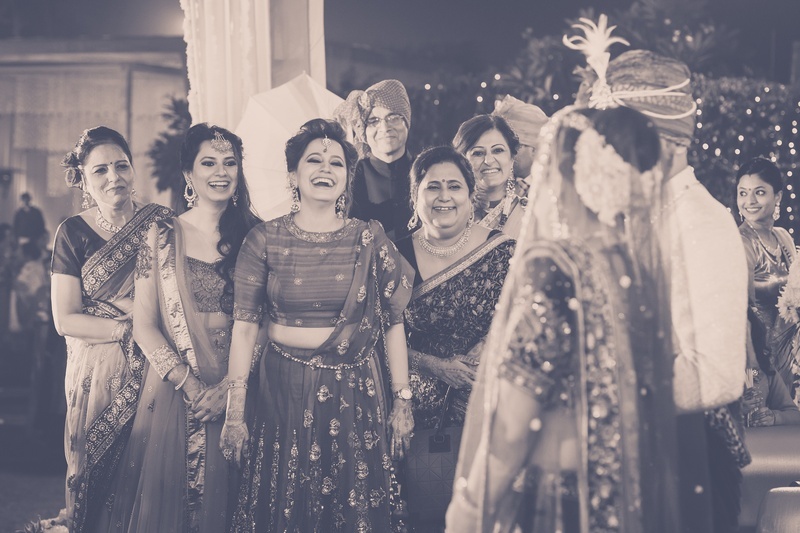 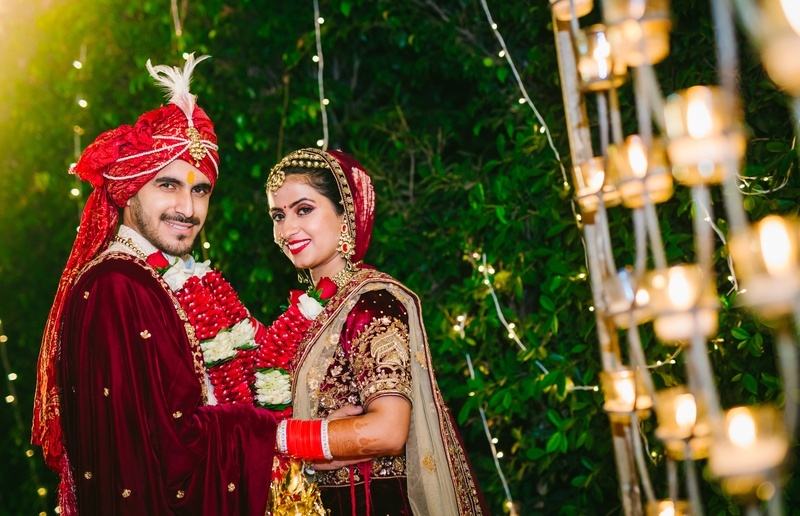 What grabbed our attention was the gorgeous outfits of both the bride and groom along with the colourful mehndi decor. 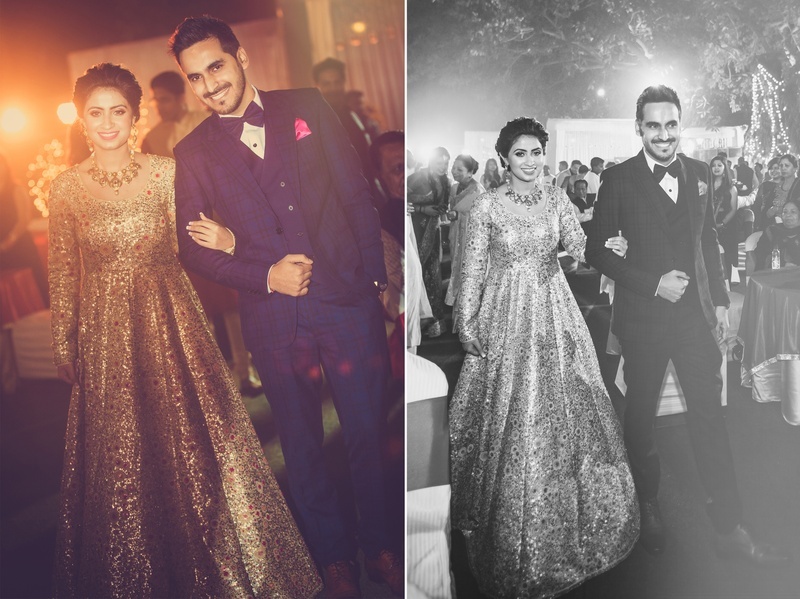 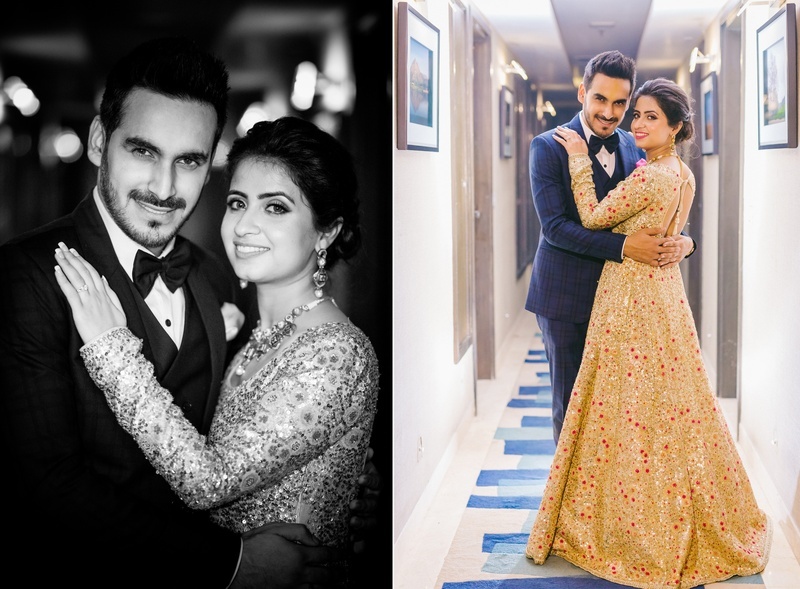 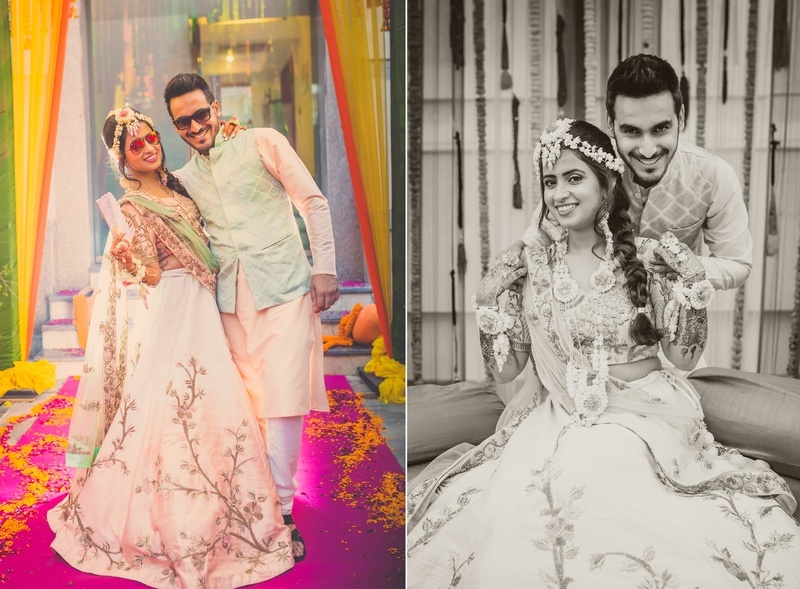 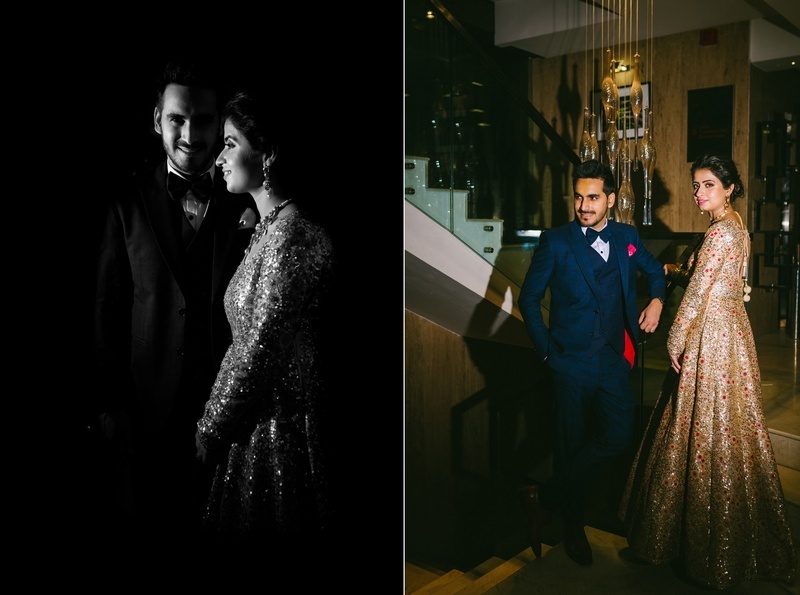 Shimmering gold with rich blue for the reception; Pastel hues of pink and blue for the mehndi; Opulent red along with pristine, elegant white for the wedding: This couple colour co-ordinated their outfits to perfection. 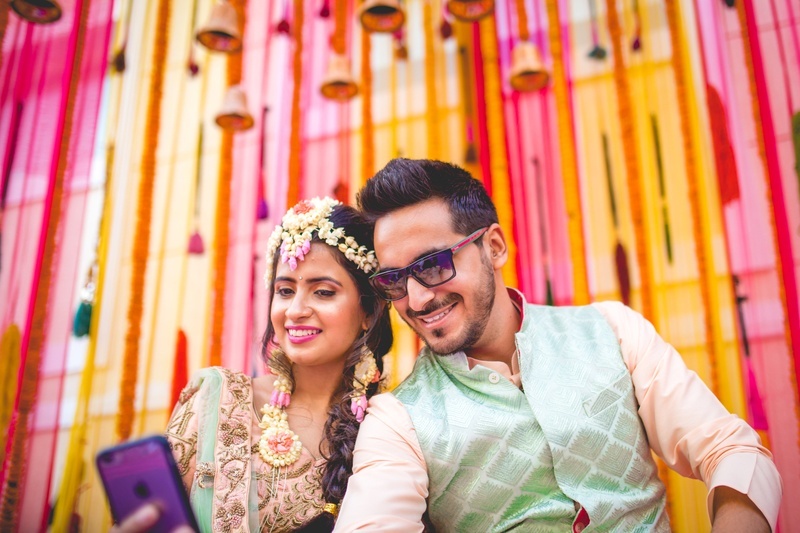 What we loved the most? 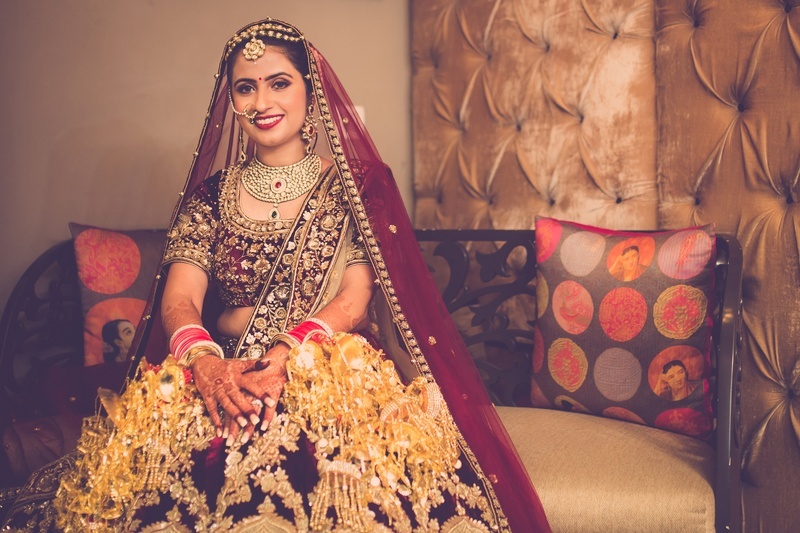 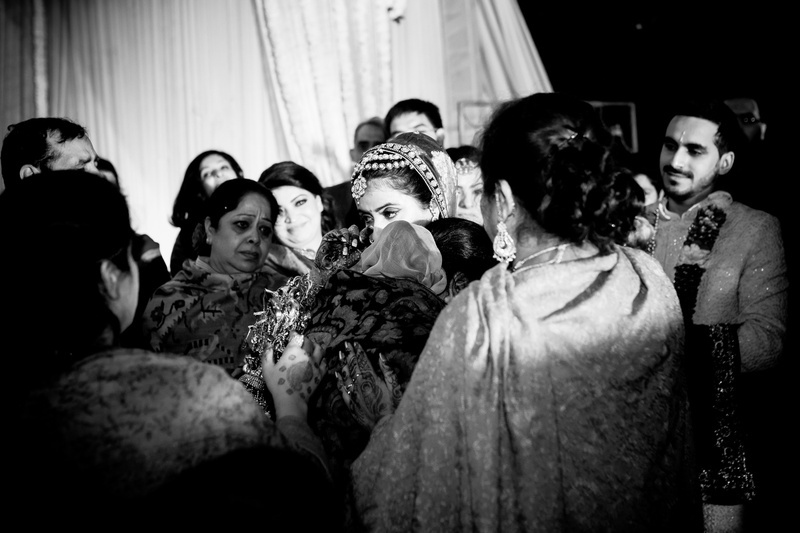 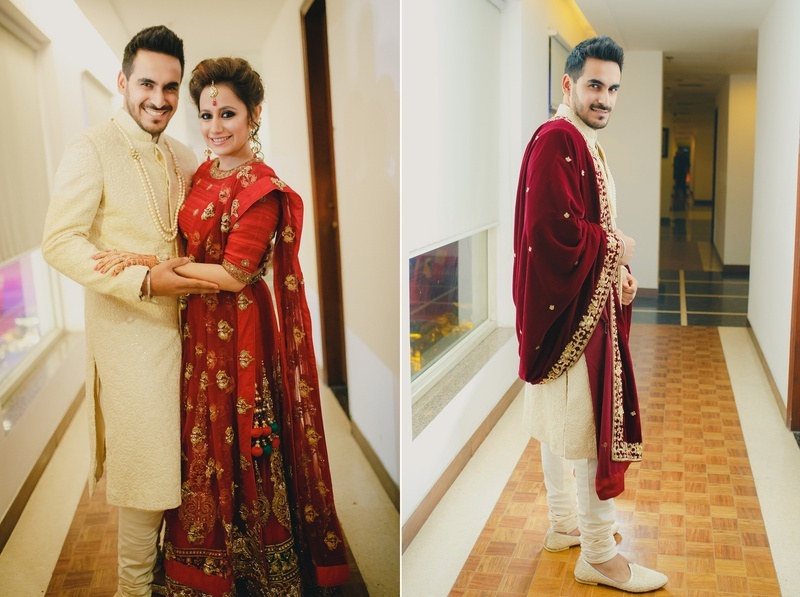 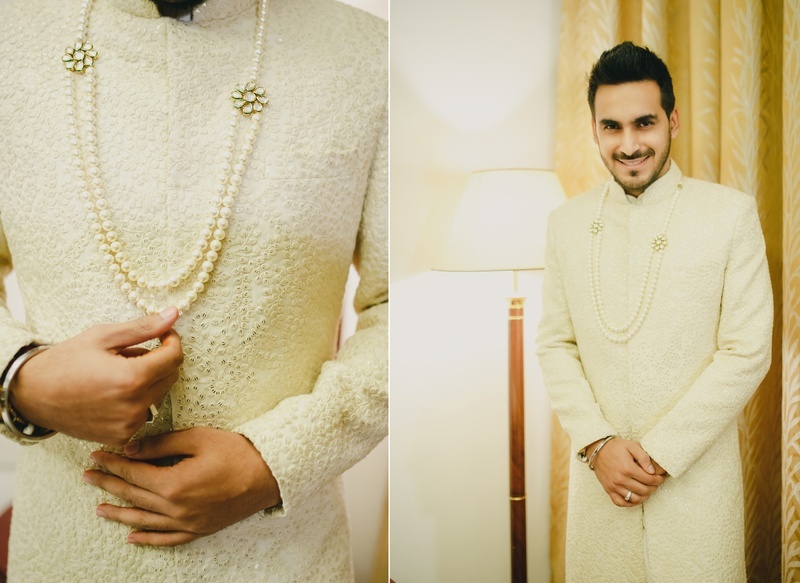 The bride's pretty mehndi lehenga and the groom's classy white wedding sherwani!